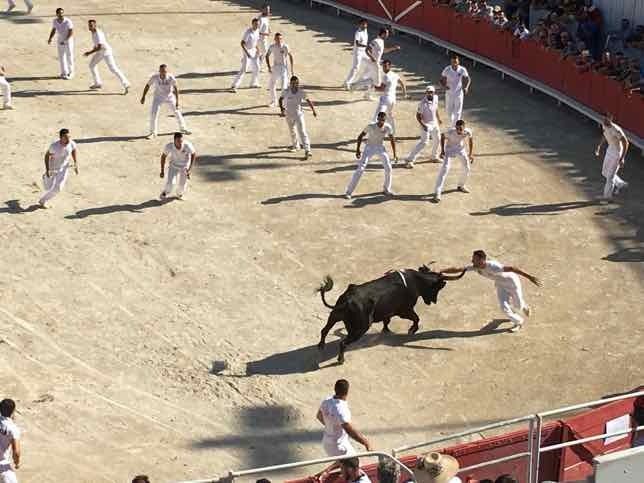 In late June en route from Lyon to Provence, I thought about breaking up my trip by stopping somewhere for a few nights. 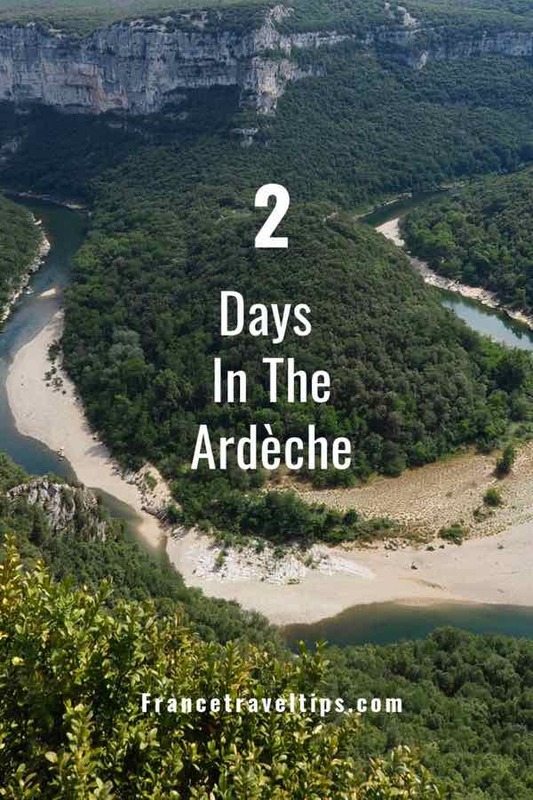 I wondered, what could I see and do for 2 days in the Ardèche? I was amazed at how many interesting sites there were and to my delight, I saw much more than I ever expected. It was well worth the stopover. 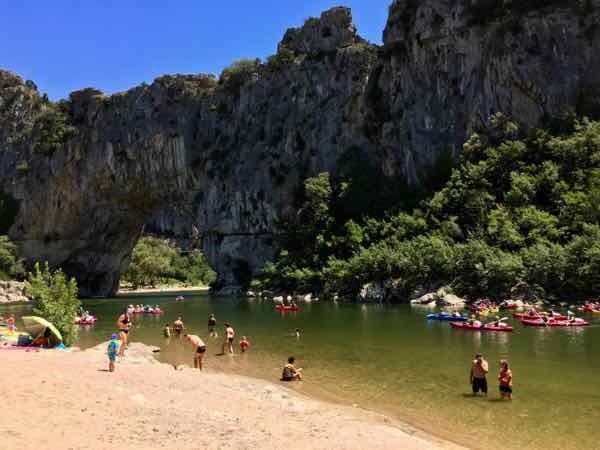 The Ardèche is a department in the southeast of France and while it is may not be as recognizable to tourists as the regions of Provence, the Loire, or the Dordogne, it is renowned for its prehistoric caves and nature—gorges, canyons, forests, and water activities, like kayaking. 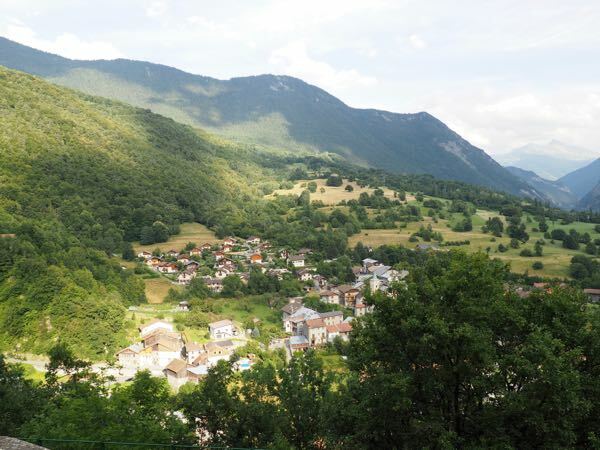 It also has a number of villages that qualify as the most beautiful in France (Les Plus Beaux Villages de France). 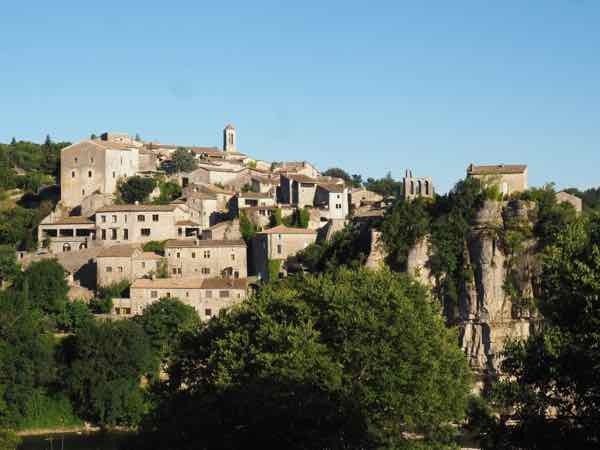 The main town, Vallon Pont d’Arc is 200 kilometers south of Lyon, so it’s typically an easy 2.5-hour drive for most people. (Except me, but that’s another story: Costly Roadside Assistance). I booked a three-night stay at a Bed and Breakfast very close to Vallon Pont d’Arc (2 km from Vallon Pont d’Arc and 6 km from Pont d’Arc). Au Mas des Gravier was in the country but not far from the nearest town. It was a nice place where my room was renovated, modern and had a fan which was needed as there was a heat wave. The family who ran it only spoke French, so as soon as I arrived I was immersed in the language. They were very friendly and patient with the mistakes I made in speaking French. 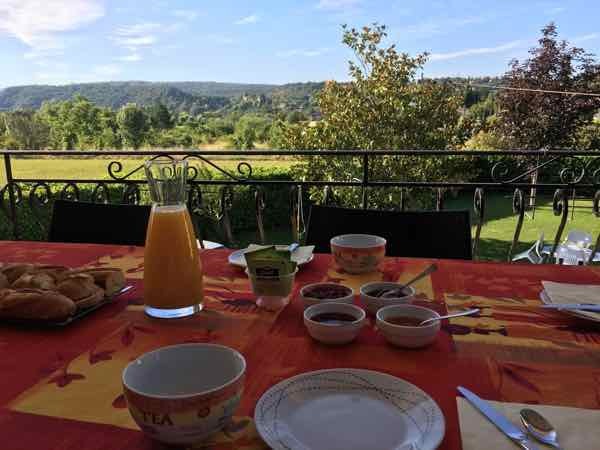 Breakfasts were served on the terrace overlooking the countryside and besides the coffee, baguettes, yogurt, and jam, the owner made delicious homemade mini cakes. The owners of the B & B and the other guests there were helpful in making recommendations on what to see in the area. Day 1 in the Ardèche was busy but immensely gratifying. As this area is known to have one of the highest concentrations of decorated caves in Europe, I had to visit one. As I have written in an earlier post, I really enjoyed visiting the grotte at Aven d’Orgnac and the Cité de Prehistoric center to learn about the first modern humans that came from Africa and inhabited different parts of the world, including the Ardèche. 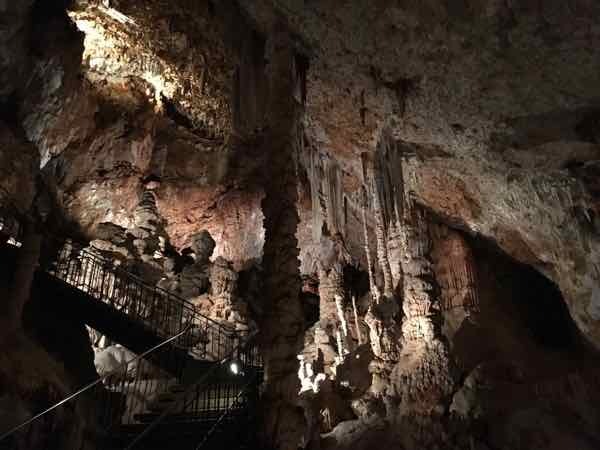 The grotte was only discovered in 1935 and the English-speaking tour is well worth taking. In the afternoon, I visited one of the most famous caves in France, “Caverne du Pont d’Arc” which is a replica of the original cave, the Chauvet cave. It was only discovered in 1994 and has the best-preserved cave paintings in the world with some going back as much as 37,000 years. 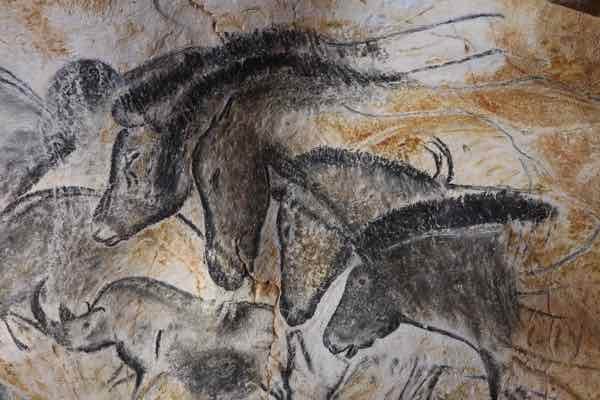 The drawings were made from charcoal and red ochre and soon after the cave was discovered it was closed to the public with the “Caverne” opening in 2015. The English-speaking tour provides visitors with headphones so you can hear the guide as you walk through the recreated cave. You cannot take photos inside but you can download the site’s photos from their website. 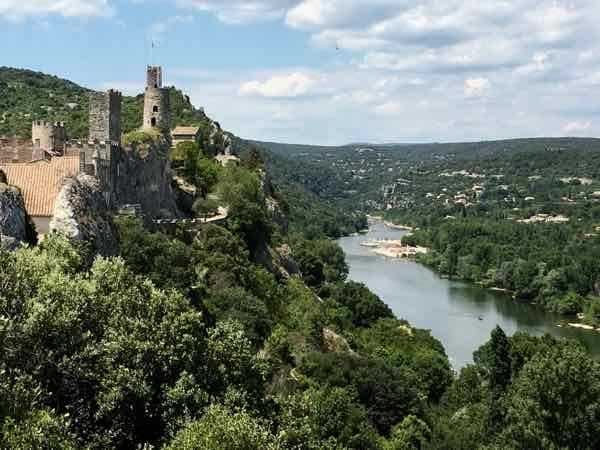 Vogüe and Balazuc have been designated two of the “Most Beautiful Villages of France” (Les Plus Beaux Villages de France) and are particularly pretty overlooking the Ardèche river. They are only about a half hour drive from Vallon Pont d’Arc and while the villages were quiet and the chateaux in each village were closed when I visited late in the day it was actually the perfect time to wander around and take photographs. 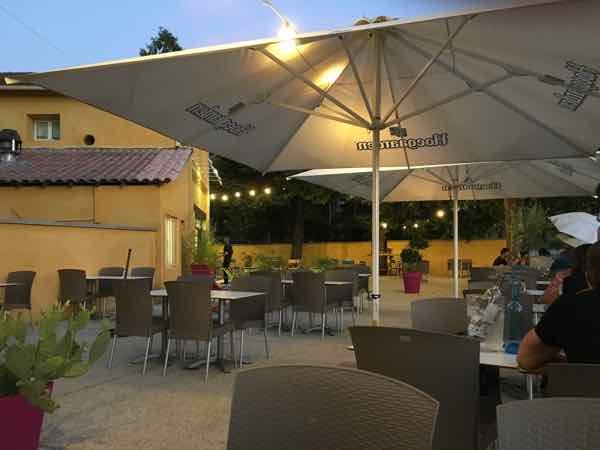 I chose to have dinner on the terrace of Bistrot Cayou, a restaurant not far from my B & B. I was very impressed with the service, the meal, and especially the setting—-overlooking the Ardèche river. As mentioned in this post, Discover Pont d’Arc By Kayak, I did a half day excursion by kayak on the calm waters of the Ardèche river. The company I used drove me to the start and at the end meeting point, picked me up and drove me back to my car. Even though a large waterproof container was provided to house my camera and knapsack, I’m glad I had a waterproof case for my iPhone. It was much easier keeping my phone out all the time so I could take photos. While there were many sunbathers and swimmers out, it wasn’t difficult navigating through the waters, even when very close to the busy Pont d’Arc area. Just doing a half day and 8 kilometers was perfect as it left the afternoon for me to explore more of the area. After my kayaking trip, I drove to Aigueze, another one of the designated Les Plus Beaux Villages de France. I had another great meal outside at the Restaurant Le Bouchon before I ventured out to explore the town. The seafood salad (Terre et Mer Salade) was enormous and I couldn’t finish it. Adding a pichet (carafe) of wine (25cl), the meal cost a reasonable 21 Euros. 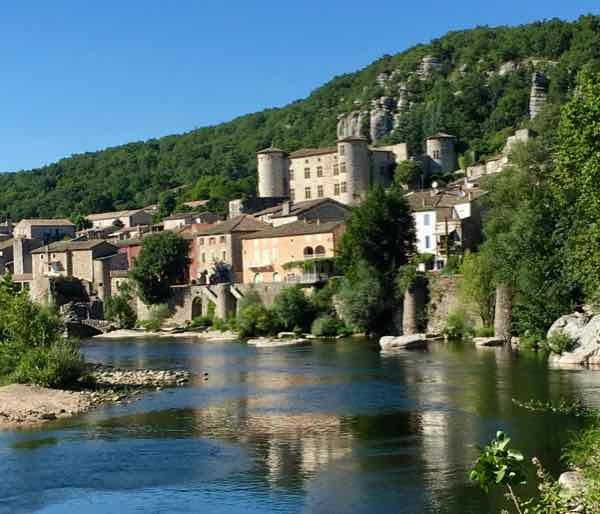 Aigueze has a medieval section but it’s the stunning views of the Ardèche river which I remember most. Just watch your step as the pathway up top is right on the edge of a cliff. 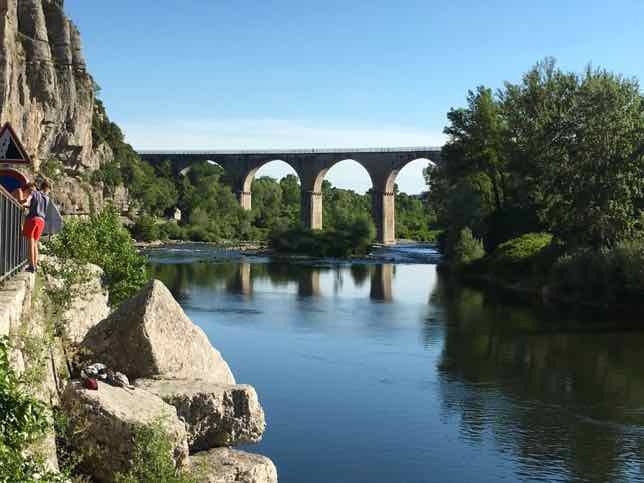 Technically Aigueze is located in the Gard department, but it is located at the beginning of the Ardèche Gorges. After my visit in Aigueze, it was time to take a scenic drive along the D290. 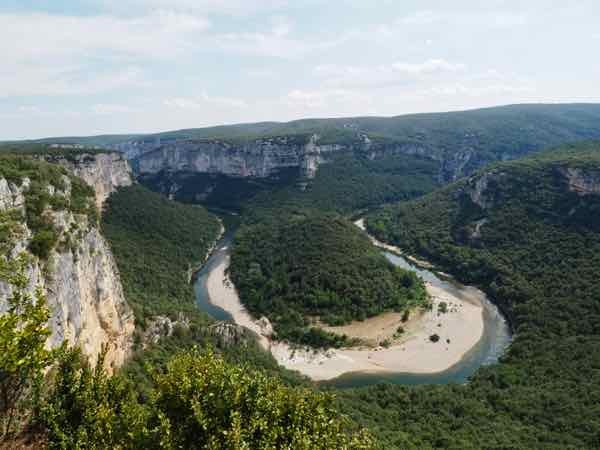 This road follows the Gorges d’Ardèche and provides some amazing views. 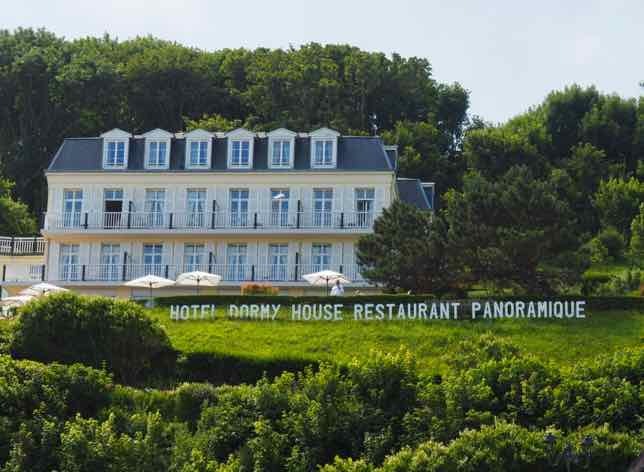 There are many panoramic stops along the way with parking available. The “Balcon et belvedere des Templiers” reminded me of my drive through Utah seeing Horseshoe Canyon. I followed the D290 all the way from Aigueze to Vallon Pont d’Arc and it is well worth doing this drive for the scenery. I ended my day with a walk around the town of Vallon Pont d’Arc and there really wasn’t anything too exciting to see. Visitors who come to Vallon Pont d’Arc really come for the outdoor activities in the area, the beaches, and water activities at Pont d’Arc. I highly recommend a side trip to the Ardèche if you are traveling between Provence and central or northern France. There’s much to see and do for 2 days in the Ardèche and quite honestly I wish I could have stayed longer. 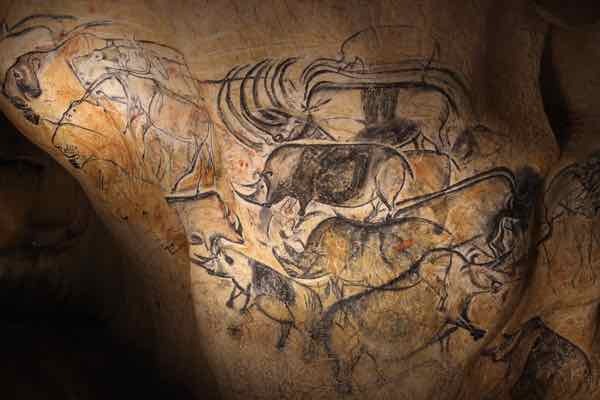 The recreation of the Chauvet cave is fabulous, one of my favorite sites in France. And the drive along the Ardèche canyon is stunning / terrifying: maybe they could put in some guard rails?